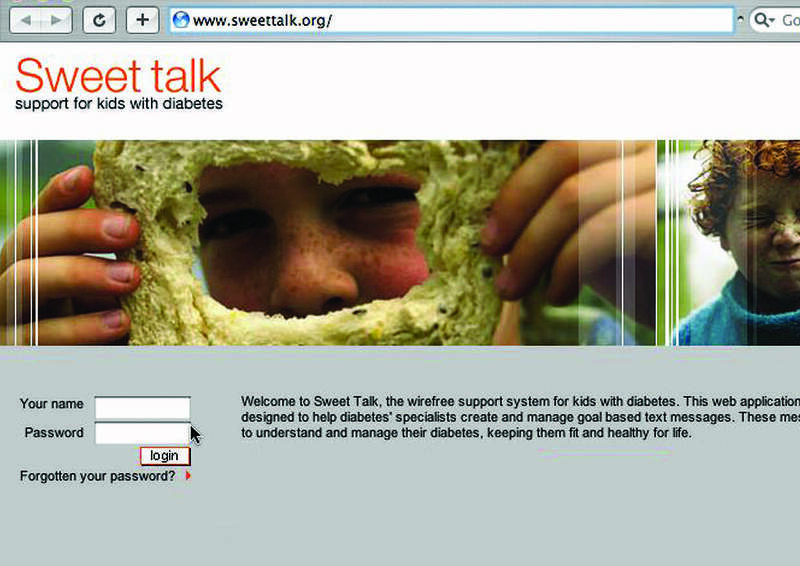 Sweet talk - support for kids with diabetes. Sweet talk. A service to help young children manage their diabetes in a modern and effective way bringing them closer to their primary care support as well as the wider community of friends and family and using simple communication tools like SMS. The service was designed, built and hosted by the SEA. Working with Doctors from Ninewells Hospital, Dundee Scotland a full scale medical trial was completed over a 1 year period.